It’s now the middle of January 2019; time passes so quickly. This means that there are only about two months before our 31st AMUG Conference. So much has been accomplished to get prepared for Chicago, yet there is still lots to do. But we will be ready for your arrival, and we will be delivering on the promise of an AM experience unlike any other. Now, I ask you, “Have you started your planning yet?” I hope so because there are things you will want to take care of immediately. First, make your hotel reservations. We expect the hotel to be sold out and are already working on a backup hotel for overflow. Seasoned members will tell you that the AMUG experience is much better when you stay at the conference hotel and include yourself in the evening events. Second, you’ll want to make your conference registration. The early-bird rate has passed, but you can still save some money if you register by March 2. Don’t forget that your conference registration includes all food, drink and evening events during the conference! Finally, seasoned AMUG members will tell you to exceed any weight-loss goals and get rested up before the conference. You’ll need this preparation to participate in the high-energy environment and enjoy the constant feedings of the 2019 AMUG Conference! How much energy do you need? With tons of presentations and many hands-on workshops, including our brand-new Training Lab, it will be easy to get overwhelmed by the agenda (download it here). And don’t forget that we have evening activities every day. The program will have you going from 7:30 AM to 10:00 PM Monday through Thursday and 5:00 PM to 10:00 PM Sunday. To help you navigate all that will be going on, we once again will have tools to assist: the Online Planner and Mobile App. These mobile-friendly tools will be there to help guide you to everything you want to see and help you manage all the great content. In closing, I want to thank all of our sponsors for their support. This year our Diamond Sponsors are 3D Systems, 3YOURMIND, Additive Industries, BASF, BigRep, Carbon, DSM Additive Manufacturing, Dyndrite, EOS, Essentium, ExOne, Farsoon, Formlabs, GE Additive, HP, Renishaw, SLM Solutions, Stratasys and TRUMPF. They will be showing off their products all week in the AMUGexpo area and will be holding presentations throughout the conference. Please check out our sponsor page on our website to see the complete list of Diamond, Platinum, Gold, Silver and Bronze Sponsors. You, the AM user, have spoken, and your AMUG Board has listened. You wanted fewer but longer sessions, more “hands-on” and “training” sessions as well as additional panel discussions. Well, you will not be disappointed when attending the 2019 AMUG Training and Education Conference. As you may recall, in 2018 AMUG had as many as 27 concurrent sessions. In 2019, we have cut that amount down to 9 concurrent sessions, most of which will be 60 to 90 minutes in length. These include hands-on sessions, panel sessions, roundtable discussions and workshops. We have also limited the number of Diamond and Platinum Sponsor sessions and are providing much larger rooms for all sessions as compared to last year. Our biggest addition to the 2019 conference program is the Diamond Training Lab. Each Diamond Sponsor will have two one-hour sessions to focus on training with the users, either on their equipment (systems or post processing) or software. We are super excited to see what each of our Diamond Sponsors will choose to do. The preliminary agenda can be found on the AMUG website. Please check back often for agenda updates. See you all in Chicago! 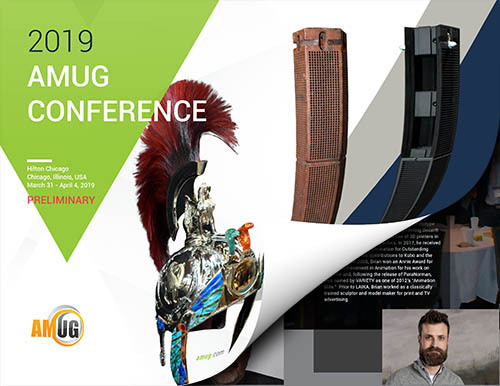 AMUG has confirmed two of its three keynote speakers. 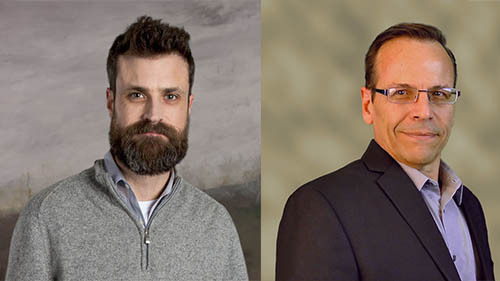 Brian McLean, director of rapid prototype for LAIKA, and Todd Grimm, president of T. A. Grimm & Associates, will address AMUG members at the 2019 AMUG Conference. To give you further reason to stay for the entire conference, Brian will take to the stage on Thursday, April 4, to give us a story of the role that AM plays in LAIKA’s stunning work for film. Brian was awarded a Scientific and Engineering Oscar® plaque in 2016 for pioneering the use of 3D printers in stop-motion animated characters. In 2017, he received an Academy Award® nomination for Outstanding Visual Effects for his contributions to Kubo and the Two Strings. Brian has also been recognized for his work on Coraline and ParaNorman. Todd will once again kick off the conference when he presents on Monday, April 1. As usual, Todd will wrap insights, observations and guidance around his summary of recent news. His presentation is titled Additive Manufacturing: Making Your Own Reality. Todd is an AM industry veteran, DINO Award recipient and a member of the AMUG Board. Stay tuned for news on our third keynote speaker. We have been working on this one for a bit and hope to make an announcement soon. Brian McLean (left) and Todd Grimm to keynote at the AMUG Conference. 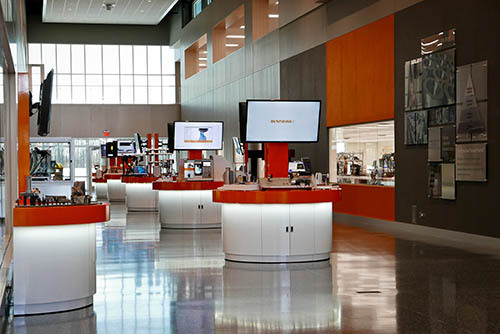 Here is one more reason to arrive at the AMUG Conference early: take a tour of Renishaw’s facility in West Dundee, Illinois. This visit is offered free of charge; transportation is provided; and you will return to the conference venue before the First Timer’s Gathering and AMUGexpo begin. You will depart the Chicago Hilton at 10:30 AM on Sunday, March 31. At Renishaw’s facility, you will then get a tour of its impressive operations and be treated to some discussions on design and material parameter development. Further details are available at www.amug.com/tours/. If you would like to join this excursion, please contact Sue Wilm at susan.wilm@renishaw.com. Take a Renishaw tour on Sunday, March 31. 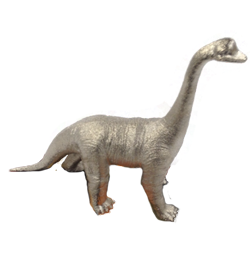 AMUG’s DINO Award recognizes contributions to the AMUG community and AM industry, as well as AM experience. This highly coveted award is bestowed on a select few. With the growth of the AMUG Conference, the DINO selection committee has found it difficult to be aware of the individual contributions that are made. As a result, this year we will accept nominations. The nomination process is still being developed, but we anticipate that online nominations will be accepted in the next few weeks. When available, details and submission form will be available at www.amug.com/dino/. The nomination process will be asking for detailed information on all the ways you (or someone you’d like to nominate) have selflessly contributed to AMUG and the AM industry. So, if you want to get a jumpstart, start jotting down all of those contributions. Attention, attention!!! 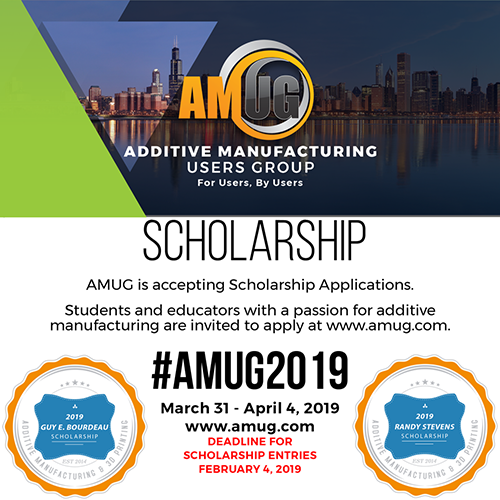 The AMUG 2019 scholarship application deadline is less than a month away. Do you know of a student or educator that has an extreme passion for additive manufacturing and/or 3D printing? Maybe you are that person? Don’t miss this opportunity to apply! The deadline is February 4, 2019. Details and a link to the applications are available here: www.amug.com/scholarships/. Annually, AMUG provides a platform to show off excellence in AM applications and AM part finishing. Please consider entering your best work in our Technical Competition. Entries will be accepted through March 24, 2019. For details and the submission form, please visit our Formstack portal. To see the level of talent and expertise you will be up against, take a look at past winners here. At the 2019 AMUG Conference, we will have a “family dinner” on the last night of the event. In past years, this has been well received, and the food was great. 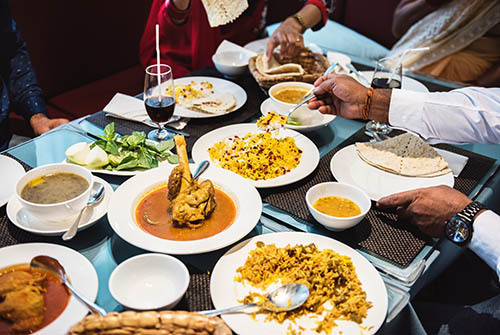 The concept is to allow AMUG attendees to taste favorite family recipes from around the world. But to make it work, we need your help. Here’s how it works: you submit a favorite family recipe with a short description of the origin of the recipe (mom’s, grandmother’s, etc.) and a memory or two related to the dish (what it reminds you of). Tom Sorovetz, event manager, and the Hilton Chicago chef will then pick a few recipes to be prepared and shared on Thursday, April 4. Please give some thought to a favorite recipe and the fond memories it brings forth. Jot down the details and send them, with the requested description, to Tom Sorovetz at EventManager@amug.com before February 28. Hard to believe it is mid-January 2019. We hope everyone had a safe and happy New Year. Everything is starting to come together for the AMUG Conference and AMUGexpo in regards to the hotel, food, events and the Tuesday-night off-site event. If you have not made your hotel reservation, please do so (as Paul has already stated). As a favor to other attendees, please notify Tom Sorovetz (eventmanager@amug.com) before canceling any reservations if you find that you won’t need the hotel room. Doing so allows Tom to place the room back into our room block, which makes it available to other attendees at the low rate we negotiated. In the past, AMUG has negotiated discount shuttle services for transportation between the airports and hotel. With the rise in ride-sharing services, few have taken advantage of the shuttles in the past few years. So instead of negotiating with a shuttle service, we are trying to get discounted Uber rates. For details and other transportation information, please visit www.amug.com/transportation/. Recently, an inquiry related to the Americans with Disabilities Act (ADA) came in. We want you to know that any of the hotels used for the AMUG Conference are ADA compliant (and that AMUG is also compliant to the ADA). 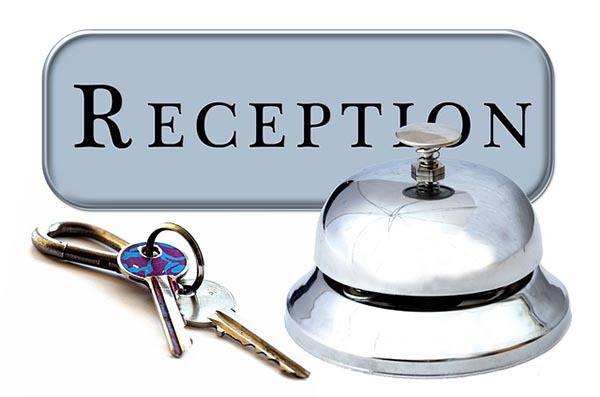 If you have a qualified disability and are planning on attending the conference and expo, please contact Tom Sorovetz (eventmanager@amug.com) so that he can personally verify that the required hotel room(s) and the assistive technology/auxiliary aids are available when you arrive. LightHinge+ was a joint project of EDAG Engineering, voestalpine Additive Manufacturing Center and simufact engineering. The specifications for the LightHinge+ hood hinge were very demanding; it needed to meet strict strength and rigidity requirements with the largest possible weight savings. Stringent safety and functionality demands imposed on active hinge systems for engine hoods mean they are very complex. In the event of an accident, a pyrotechnically triggered actuator kicks in to raise the hood to extend the distance between the impacting object and any hard engine components. The geometric freedoms of additive manufacturing allowed the engineers to develop complex, predetermined breaking point structures. Furthermore, the connection point for a gas pressure spring was integrated, as were the mounts for windshield wiper tubing and collar screw. This functional integration reduced the number of parts by 68% compared to the sheet-metal reference part, eliminating much of the assembly’s original weight. At the North American International Auto Show in Detroit, Carbon showed off the first digitally manufactured polymer parts in production for Ford Motor Company. The parts include Ford Focus HVAC Lever Arm Service Parts, Ford F-150 Raptor Auxiliary Plugs for a niche market, and a Ford Mustang GT500 Electric Parking Brake Brackets. Carbon and Ford have expanded their collaboration to design and produce these end-use parts using Carbon’s robust and reliable printers, proprietary Digital Light Synthesis™ technology, and innovative EPX (epoxy) 82 material. Carbon’s durable EPX 82 material proved ideal for these parts, passing Ford’s rigorous performance standards and withstanding critical requirements such as interior weathering; short- and long-term heat exposures; UV stability; fluid and chemical resistance; flammability (ISO 3795); and fogging (SAEJ1756) for the selected applications. 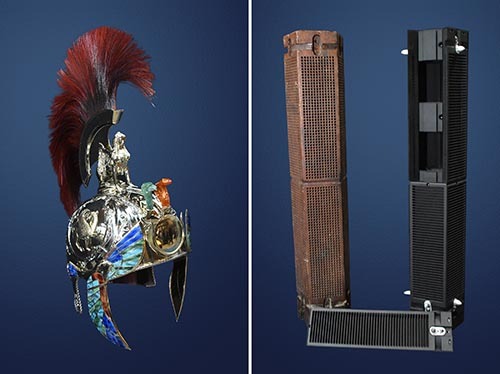 To learn more about how Carbon is helping customers like Ford create breakthrough products across industry sectors, from automotive to healthcare to consumer goods, please visit www.carbon3d.com. ExOne recently announced the release of its newest system, the X1 25PRO™. 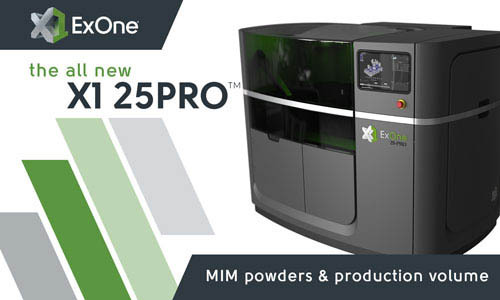 Combining the fine metal injection molding (MIM) powder capability of ExOne’s INNOVENT+™ machine with production volume capability, the new X1 25PRO is positioned to address the needs of MIM, powder metallurgy, and manufacturing customers seeking a larger platform solution for producing reliable parts in a production environment. The new X1 25PRO offers customers the ability to produce fine quality parts from a variety of printable materials including: 316L, 304 L, and 17-4PH stainless steels; Inconel® 718 and 625; M2 and H11 tool steels; cobalt chrome; copper; tungsten carbide cobalt; and many others. ExOne is currently taking orders for the X1 25PRO system. Customers will have the opportunity to see the X1 25PRO on display at the RAPID + TCT 3D event in Detroit, MI, on May 21-23, 2019. Officially announced last month, the Integra P 400, the new industrial polymer 3D printer from EOS North America, will soon be available for you to see LIVE at the nation’s top manufacturing conferences! Developed to meet the demand for plastic additive manufacturing, the Integra P 400 empowers designers, production engineers, and material makers alike. With an impressive array of new user-friendly features that offer unprecedented productivity, software controls, material compatibility, and simple serviceability, the Integra P 400 is truly the most flexible and accommodating 3D printer on the market. Live demonstrations of the new EOS North America system will be available first at the 2019 AMUG Conference in Chicago, March 31-April 4, followed by RAPID + TCT 2019 in Detroit, May 20-23. For more on the all new Integra P 400, visit integrap400.com. 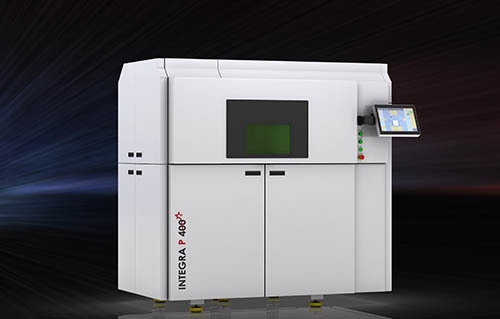 The new Integra P 400 – A product of EOS North America. Further expanding applications for 3D printing, the company kicked off CES 2019 with the launch of two new resin materials: Elastic Resin and Digital Dentures. Elastic Resin is Formlabs’ softest Engineering Resin with a 50A Shore durometer, suited for prototyping silicone parts that need to bend, stretch, compress, and withstand repeated cycling without tearing. Digital Denture Resins are shipping in the U.S., offering the first truly accessible direct printed dental prosthetics. Formlabs also presented at CES how 3D printing is changing the way we work and its contribution in the development or manufacturing of almost every commercial product presented at the show. The booth featured live demos from industry creature designers showcasing their workflow from scan-to-sculpt-to-print. Formlabs also presented its recent partnership with Gillette that launched an e-commerce customized razor concept named Razor Maker™: powered by Gillette®, which offers consumers a series of customizable 3D-printed handles. Fungisaurs by Aiman Akhart, featured at CES in the workflow live demos. 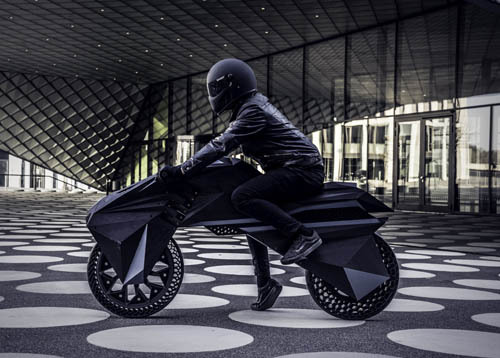 BigRep’s innovation department, NOWLAB, has developed the world’s first fully 3D printed and functional e-motorcycle, the NERA bike. Made of 15 components in total, all the NERA bike parts, excluding electrical components, have been 3D printed, including the tires, rims, frame, fork and seat. Developed in about 12 weeks, the BigRep team didn’t simply adapt existing motorcycle designs, but instead envisioned a bike designed for large-format FFF technology, setting a benchmark for truly creative design that pushes the limits of traditional engineering. For information and to watch the NERA bike in action, check out bigrep.com/3d-printing-use-cases/. The world’s first fully 3D printed e-motorcycle by BigRep. Farsoon Technologies – Americas’ 3D custom printed eyeglasses have been developed using Autodesk Fusion 360 and Autodesk NETFABB software. The custom eyeglasses showcase the ease-of-use and compatibility between Autodesk’s software and Farsoon’s additive manufacturing systems. The custom frame and temples were designed using the Autodesk software and converted to STL files. The two files were imported into Autodesk NETFABB’s 403P Farsoon workspace. The temples were imprinted with the Farsoon logo using NETFABB’s “Text Label” feature while the geometric pattern was designed using the “Manual Cut” feature. After the design, the frame and temples were produced in Farsoon’s HT403P polymer laser sintering system with Farsoon’s PA3300 (Nylon 12) powder material. 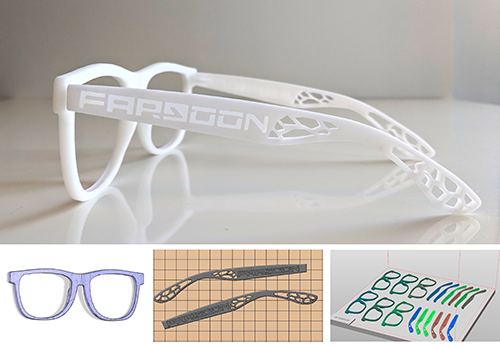 Multiple versions of Farsoon’s custom 3D printed eyeglasses will be on display in Farsoon’s booth at AMUG 2019 (booth D10) and Rapid + TCT (booth 1264). Farsoon custom 3D printed eyeglasses. As part of its Corporate Social Responsibility program, Stratasys supports the Veterans Administration (VA) with 3D printing technology to improve patient outcomes. A recent development of this support involves a new approach to mandibular surgery at the VA in Seattle, Washington. In mandibular surgery, doctors use implants to reconstruct the jaw to remedy conditions caused by disease or trauma. But in many cases, these off-the-shelf implants require adaptation to the patient’s anatomy during surgery. The maxillofacial team at the Seattle VA has begun 3D printing models of the patient’s jaw to optimize the implant before the operation. The result is reduced operating time, lower cost and a better outcome. 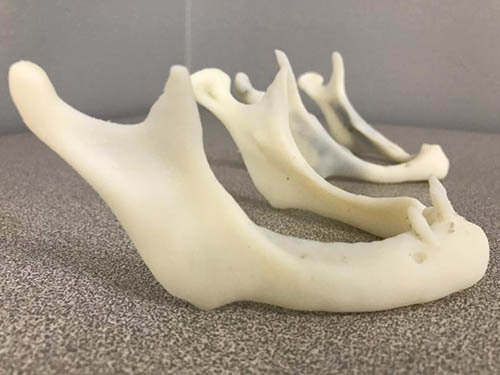 Beth Ripley, staff radiologist at the Seattle VA, is excited about the results and the prospects for broader 3D printing use within the VA. You can read the details of the story in her guest post on the Stratasys blog. 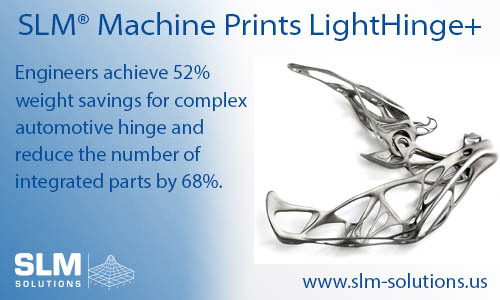 3D printed patient-specific models optimize mandibular implants, resulting in better outcomes. Renishaw is working with autonomous topology optimization expert ParaMatters to give manufacturers access to efficiently manufactured metal 3D printed parts. ParaMatters’ CogniCAD cloud solution enables users to easily upload part geometries for optimization and automatically produces lightweight macro, meso and lattice structures using generative design principles backed up with high-resolution finite element analysis (FEA) validation. CogniCAD users are no longer constrained by traditional complex CAD/CAE/CAM tools, instead they simply upload their part and follow the intuitive CogniCAD workflow and user-friendly interface to prepare a printable model. Renishaw has previously used CogniCAD to reduce the weight of the upper mounting bracket for ECOSSE Moto Works’ motorcycle, the Nightstalker. Lightweight components are important in motorcycles for ensuring fuel efficiency and improved dynamics. Here, the two complementary technologies are used together to produce lightweight and structurally robust components, and Renishaw’s collaboration with ParaMatters has made both technologies accessible to its customers. Learn more about our collaboration. Motorcycle bracket optimized with ParaMatters’ CogniCAD. The modular MetalFAB1™ system is an open architecture machine that ensures maximum flexibility and allows configurations from 2 to 11 modules. When the capacity need increases, it is possible to add more modules in the future. The MetalFAB1 system can be configured to meet your available floor space and includes several optional modules that automate heat treatment and extend productivity. Additive Industries continuously improves the system by adding functionality in the modules, which protects your investment against technology advancements. Visit our booth #D5 at AMUG, to find out more, ask questions and create your own business case. MetalFAB1: add modules as demand for capacity increases. In case you missed the news, 2019 marks the addition of AMUG staple Stefan Ritt, who is an AMUG DINO and an AMUG ambassador, to 3YOURMIND’s ranks. Ritt arrives fresh off the plane after a three-week tour of Asia, where he assessed the market and acquired a comprehensive understanding of AM’s status in these manufacturing epicenters. Ritt is ready to influence the transition of the AM industry. “I am convinced that adding the integration of AM machines within 3YOURMIND’s comprehensive software will be the solution the AM industry needs to make the step from individual prototyping to advanced industrialization and reliable serial-batch production,” Ritt said. You can look forward to hearing more about what 3YOURMIND has cooked up with Stefan for AMUG 2019 on our website, which discusses Agile MES, Order Management and AM Part Identifier. 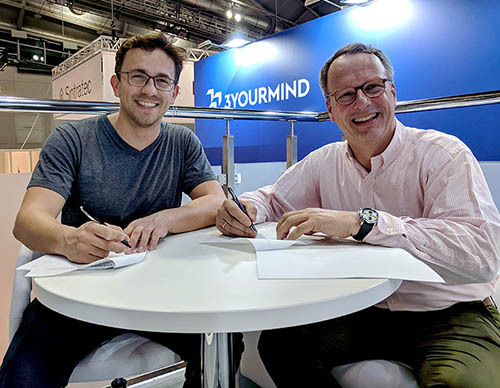 Stefan Ritt (right) and Aleksander Ciszek sign contract at formnext 2018. 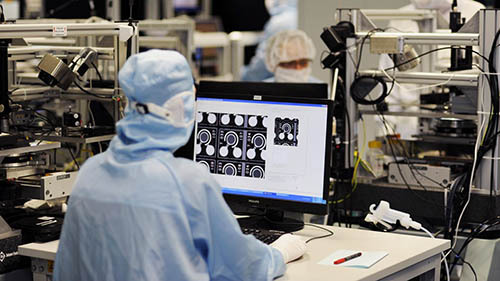 The high-tech company TRUMPF is acquiring 100 percent of Photonics GmbH from Philips, headquartered in Ulm, Germany. This opens up a new market segment for TRUMPF with technology used for smartphones, in digital data transmission, and in sensors for autonomous driving. “With this acquisition, we want to open up new product fields and expand our existing portfolio,” said Nicola Leibinger-Kammüller, TRUMPF CEO. Through this acquisition, TRUMPF will expand into fast-growing markets in the photonics and digital product industries. 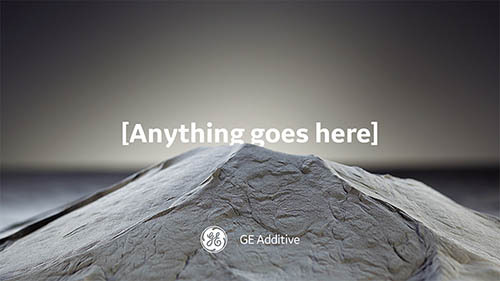 At GE Additive, partnership is at the core of what we do. We’re built to be a full-service additive partner and recently launched a new brand campaign that positions all of our products and services under one unified message—Let’s build anything together. We offer a suite of product offerings and materials to help our customers unlock the full potential of additive manufacturing. In addition, we have the world’s largest team of additive experts. Therefore, let’s build anything together isn’t a tagline; it’s an invitation for customers to partner with us so we can help them achieve their additive vision. We can help make it possible for you to manufacture anything you can think of, and help make it stronger, faster and for less. The possibilities for what a factory can make are changing. And when a factory can make anything, anything is possible (video). Anything goes here. See the vision in this “anything factory” video. 3D Connect Service provides a secure, cloud-based connection to 3D Systems 3D printer service teams for proactive and preventative support. With 3D Connect Service, your 3D printer automatically sends alerts to the 3D Systems service team for immediate assistance in resolving printer-defined conditions or exceptions, solving problems remotely, pre-ordering parts, and scheduling on-site services as needed. Real-time maintenance insights, proactive service, and preventative, streamlined, timely support help increase uptime, lower operating costs, and improve production efficiency. 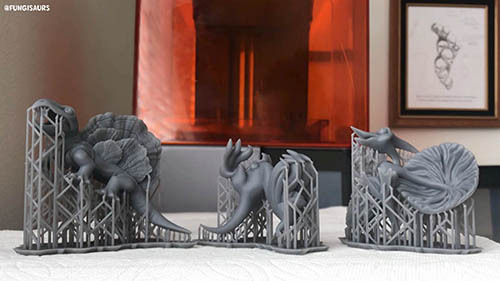 3D Connect Service is available for 3D Systems production plastic and metal printers that are covered under a current warranty or active service contract, starting with the ProJet 6000 HD and ProJet 7000 HD stereolithography (SLA) printers. Ask your 3D Systems sales representative about availability for your 3D printer. View the 3D Connect Service web page and stop by 3D Systems booth D16 at AMUG 2019 to learn more. 3D Connect Service for remote diagnostics. In addition to announcing new photopolymer partnerships at formnext 2018, BASF also presented new products and distribution agreements to further expand our vast portfolio of 3D-printing materials and its availability to customers around the world. Ultracur3D portfolio: New (and established) photopolymers that provide better mechanical properties and higher long-term stability than most available materials. Ultrasint Polyamide PA6 Black FR: A new flame-resistant material that meets UL94 V2 fire protection standards for use in SLS. Ultrasint PP: This polypropylene-based product shows excellent plasticity, low moisture uptake, resistance to liquids and gasses, and outstanding mechanical properties. Expansion of distribution network for filaments: Innofil3D, a subsidiary of BASF 3D Printing Solutions, entered a partnership with Jet-Mate Technology for the distribution of plastic filaments in China. In addition, a distribution agreement was signed with M. Holland for the distribution of filaments in the U.S.
To learn more about our announcements at formnext 2018, click on the image for our video. For more information, please contact us at 3d-printing@basf-3dps.com. 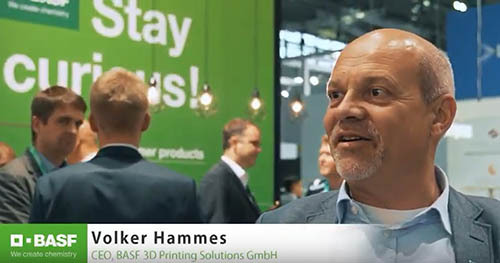 Volker Hammes, CEO of BASF 3D Printing Solutions, at formnext 2018. Watch video. Read more about the LEAP Awards. 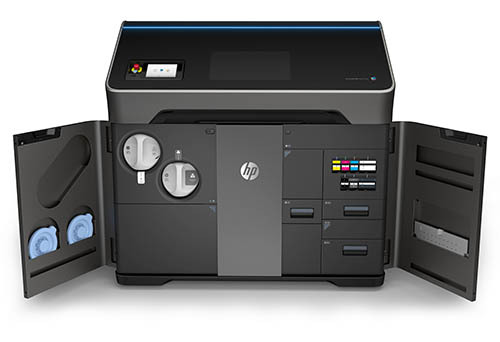 Learn more about HP Jet Fusion 300/500 Series 3D printers. HP Jet Fusion 300/500 Series 3D Printers. AM is changing design—not only what designs are possible to manufacture, but how we think about design’s role, where design falls in the manufacturing process and what “design” actually entails. A part’s design affects not just its end performance but also how it will build in the printer and what will happen after the print. 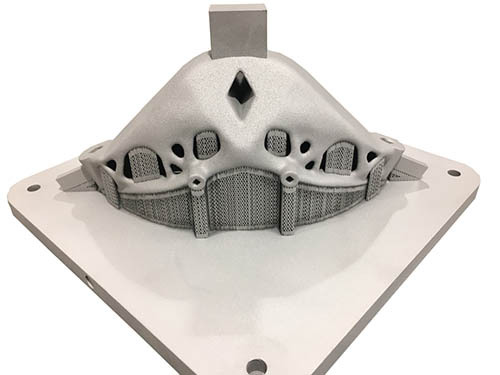 When design is an integral component of additive manufacturing, the result is a successful build and a part that can serve its intended purpose. 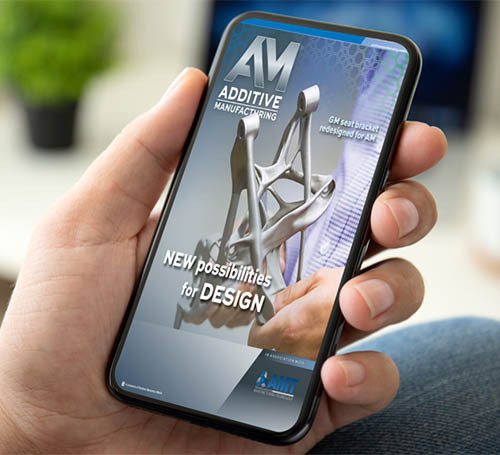 The January/February 2019 issue of Additive Manufacturing magazine explores the interplay of design and AM. 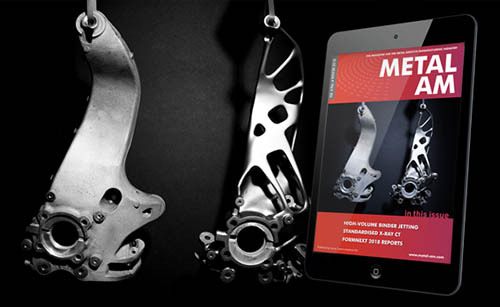 Stories in this issue include 3D printing’s use by a Formula One race team, topology optimized medical implants and the creation of the generatively designed GM seat bracket pictured on the cover. 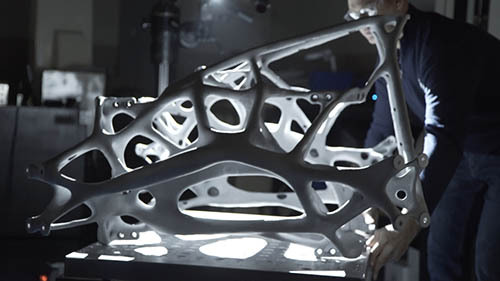 The proof-of-concept seat bracket is lighter and stronger than the original assembly, illustrating the gains generative design offers. Read about it in this issue. Read the Winter 2018 Issue of Metal AM Magazine Now! View online or download your free copy today. 164-page Winter 2018 issue now available. 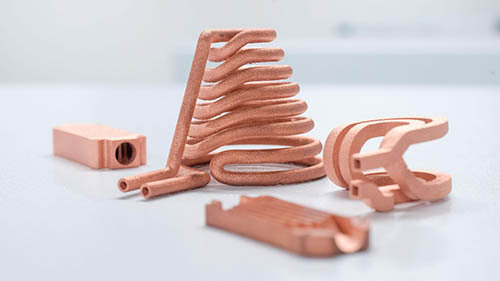 As more companies use additive manufacturing (AM) processes to create end-use metal parts (not just prototypes), quality and scrappage issues associated with AM have become a bigger issue. Many 3D printing technologies have demonstrated degrees of variability regarding consistent parts creation, and because design for AM skills are often in short supply at most companies, there is great trial and error involved in creating usable parts. That has resulted in a high percentage of scrap and wasted materials. To reduce waste and improve part quality, end users need a way to virtually test builds before creating physical parts. 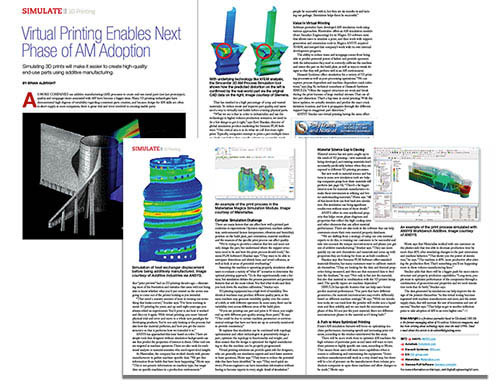 Read how software vendors are addressing simulation for additive manufacturing in the latest issue of Digital Engineering. Latest issue discusses metal AM simulation to avoid trial and error. As the year ended, 3D Printing Industry invited AM leaders and CEO’s to reflect on the most important events of 2018. Our annual review of the year is accompanied by insights from 40+ additive insiders who discuss what to expect next in 2019. The resulting article is an extensive review of 3D printing forecasts and trends to watch out for in 2019. We’re always keen to hear from readers, so please do get in touch to let us know if you agree, or if you feel otherwise. 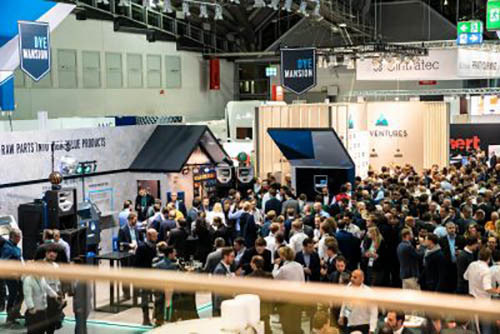 Formnext 2018 opening night party with 3D Printing Industry, AM Ventures, 3YOURMIND, TUV SUD, and DyeMansion. Want to be Included in TCT’s AMUG Preview? Team TCT is kicking off 2019 with a trip to Tokyo later this month for the inaugural TCT Japan following our partnership and re-launch of Japan’s largest AM and 3D printing event. A few weeks later, we’ll be in Shanghai for the fifth TCT Asia show, our biggest one yet. So, while it may seem a little early to be turning our attention to the 2019 AMUG Conference, we’ll be in Chicago indulging ourselves on AM expertise and endless food before we know it, and we’re keen to hear what you’ll be bringing to this year’s expo and conference. A unique application? A new technology? 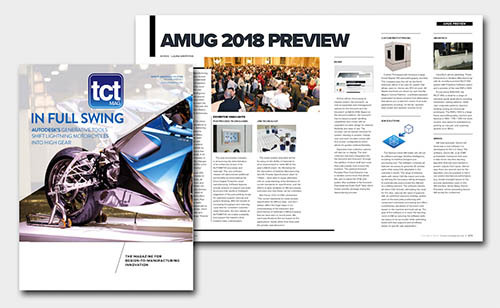 Whatever it may be, we want to hear about it for our annual AMUG Preview coming up in the next issue of TCT North America. Drop us an email at laura.griffiths@rapidnews.com and don’t forget to subscribe for your free copy. TCT’s annual AMUG Preview highlights new technologies and conference sessions. At RAPID + TCT 2019, you’ll hear from some of the industry’s most successful leaders about how 3D technologies are transforming industries from automotive to healthcare. Discover how the digital revolution is providing companies with a competitive advantage – and how you can master the challenges of innovation. Keynote presentations are complimentary to all RAPID + TCT attendees. RAPID + TCT announces its 2019 keynote lineup. Here at Make Parts Fast, we post hundreds of news articles and stories for you. It’s time to take a look at which ones were the most read. Did you miss any of these? Can you 3d print your own glasses frames? GlassesUSA.com, a leading online eyewear retailer, plans to disrupt the traditional eyeglass frame market by launching 3D printable glasses. Will aluminum become the new hot material in metal additive manufacturing? The metal additive manufacturing (AM) materials market is shifting from high-cost/top performance alloys such as titanium and nickel superalloys to more affordable materials that still offer adequate performance in larger batches. For the other most-read articles, check out this listing. “Will aluminum be the hot material?” is one question answered in the most-read articles of 2018. In the Winter 2019 issue of 3D Metal Printing, look for an in-depth recap of the exciting technology we found at formnext 2018, as well as a preview of the 2019 AMUG Conference in Chicago, IL, March 31-April 4. 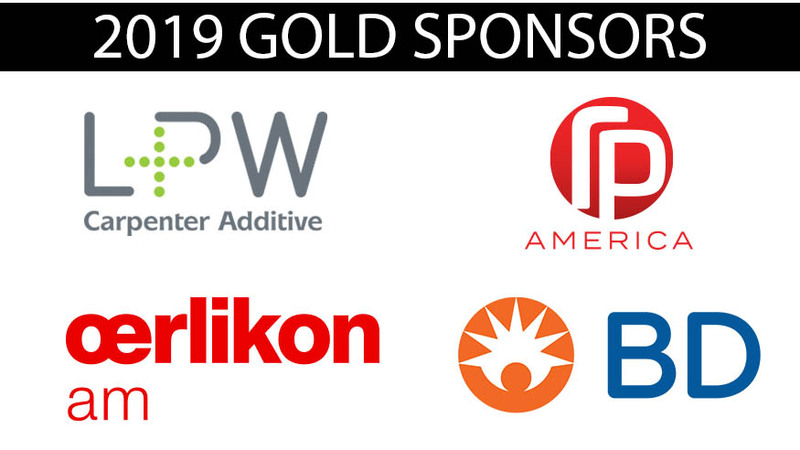 Also, we are readying for 3DMP’s Mexico Additive Manufacturing and 3D Printing Conference, seeking sponsors and speakers for the June 12-13, 2019, event, to be held in Monterrey, Mexico. The conference is timely, as according to Allied Market Research, Mexico is North America’s fastest-growing adopter of 3D printing technology, with a CAGR of 27.3 percent through 2022. In the Winter 2019 issue of 3DMP, look for new developments forwarded at formnext 2018, such as Trumpf’s green laser for copper and gold. Stay in the know with AMUG. Sign up for our monthly newsletter and receive AMUG highlights, conference information and industry updates from the world of additive manufacturing.